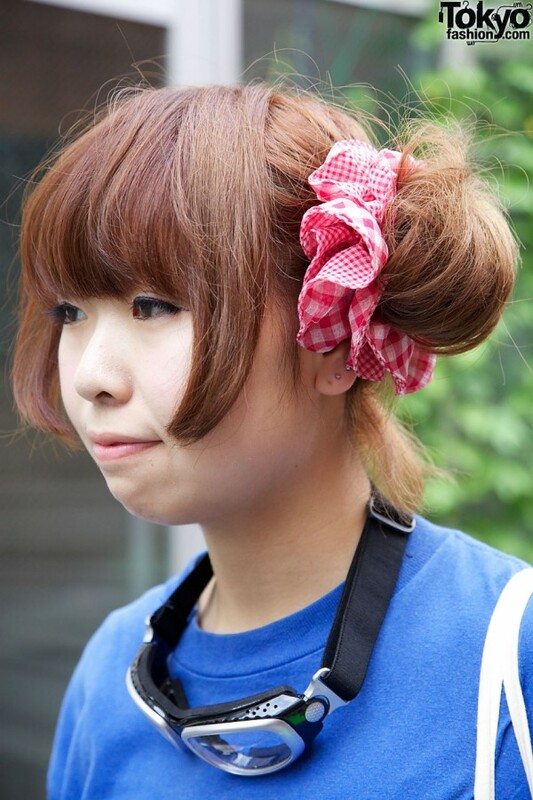 This cute girl with auburn hair styled with bangs and twin odango buns is Nana, a 17-year old student and a fan of fashion from used and resale shops. 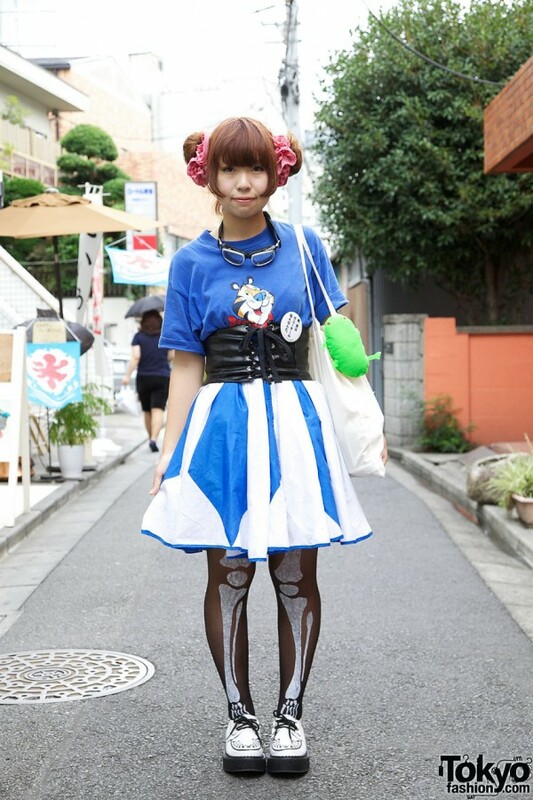 She’s wearing a blue Tony the Tiger t-shirt from Kinjii and a bold blue-and-white full skirt from Chicago (a Tokyo shop that is among her favorites). A wide black leather corset belt and skeleton stockings from Spinns give her outfit an edgy appeal. 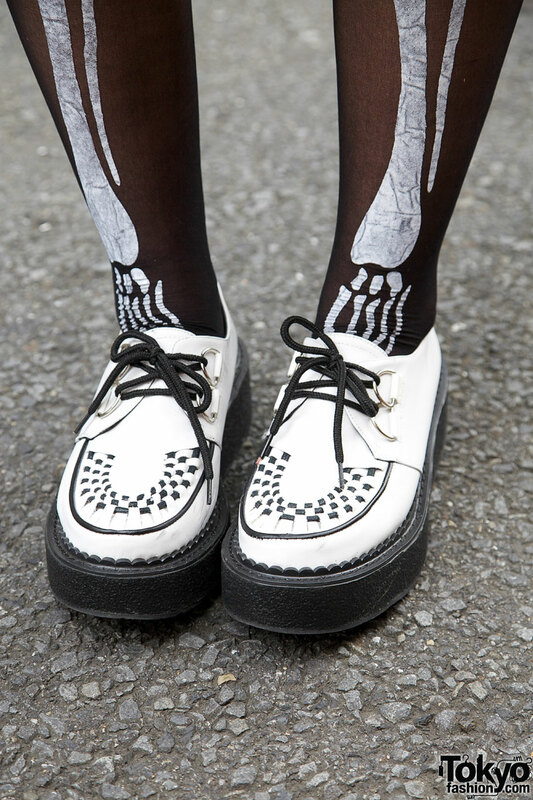 Nana’s white platform shoes are from Body Line (this style has been very popular with both girls and guys this summer). Accessories from G2? 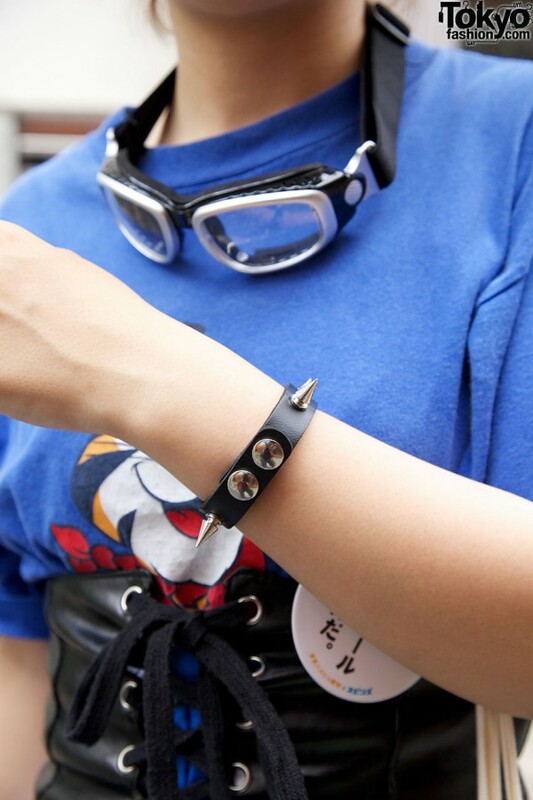 and other shops include goggles around her neck, a button on her belt, a spiked bracelet and gingham shushu (scrunchies) around the odango buns in her hair. 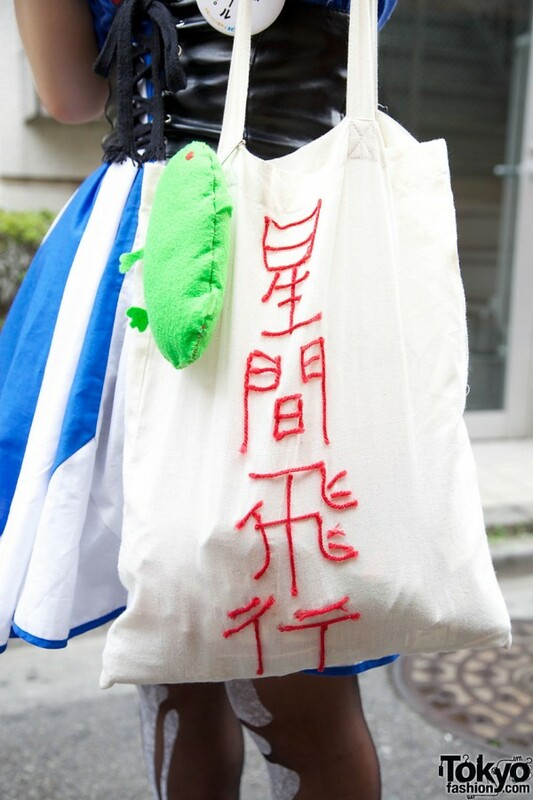 Her fabric tote bag with embroidered yarn characters is a remake. I love her hair ^_^ and the outfit is cute also but I mostly like the corset this and the HAIR!!!! 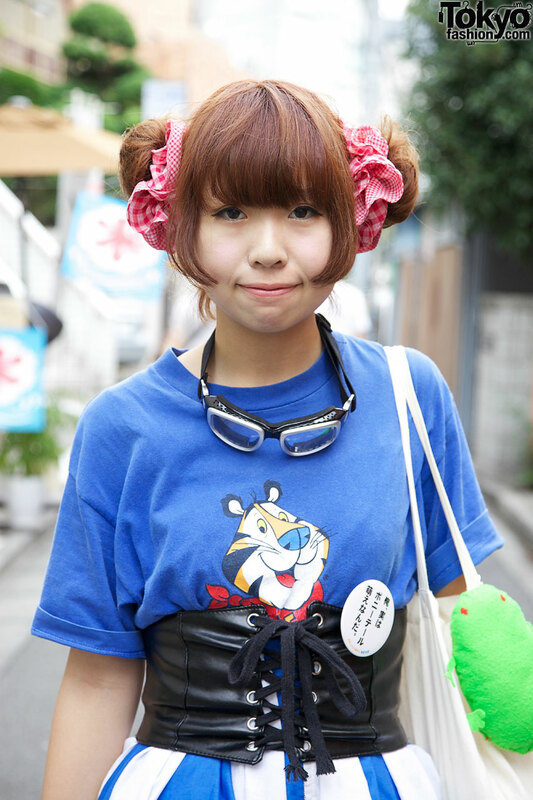 I really like her hair accessories and her t-shirt. I just purchased a vintage tony t-shirt. Love it.